The new Sjogren Puller is compatible with wire diameters ranging from .06″ – .25″ / 1.5mm – 6.3mm, and a pull rating of 5,000 lbs. / 2273 kg when using #100 roller & safety chain, or 3,000 lbs. / 1364 kg when using #80. The jaws have two working surfaces: they can be swapped between upper and lower position to provide double the working life before requiring replacement. The ergonomic handle allows the operator to hold the puller securely with one hand while easily inserting wire with the other hand, even when wearing heavy gloves. Pivoting head reduces breakage by allowing both in-line pull from the die box as well as tangential pull on the capstan. Eliminates need for separate clevis assembly. Upper jaw is retracted using slide plate, then locks in open position to allow a free hand for wire insertion. Jaw is closed using a one-touch release mechanism. Puller feet are designed for ideal positioning on capstan, and can be fitted with brass shoes to prevent damage to capstan surface, helping prevent wire marking problems. 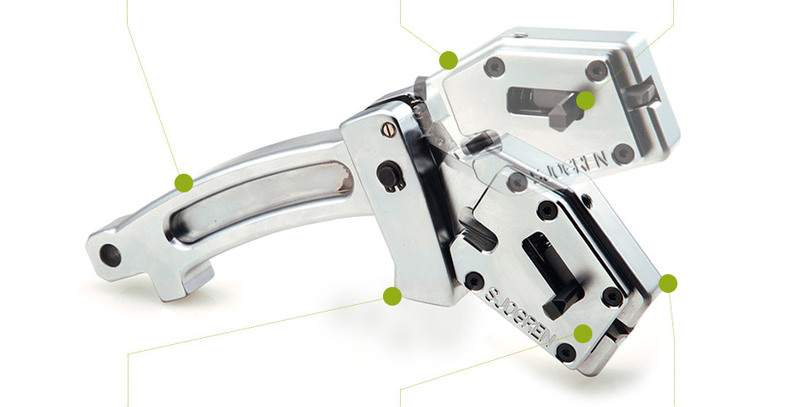 The Sjogren Puller jaws provide double the working life: they are tooled with two work surfaces so they can perform once in upper position and once in lower position. The chromed surface of the puller is easy to clean, which reduces risk of corrosion and prolongs tool life.